Hello Friends. 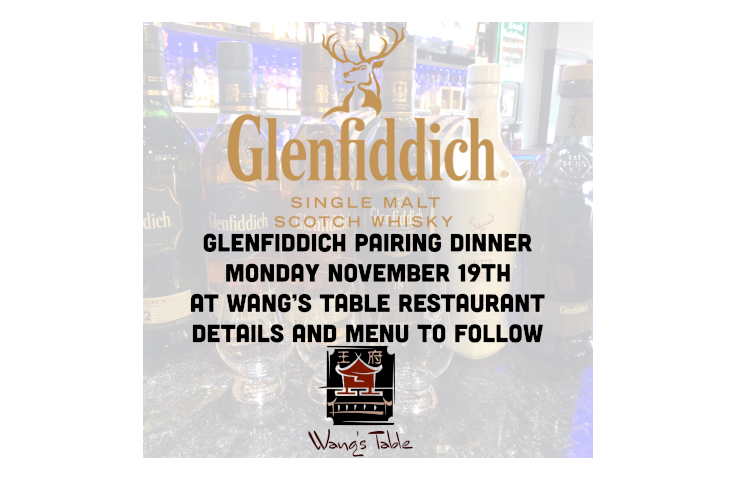 We are excited to announce that we will be hosting a paring dinner on Monday November 19th featuring Glenfiddich Single Malt Scotches. Details such as time and a full menu will be available soon so please stay tuned. This is going to be one that you won’t want to miss!